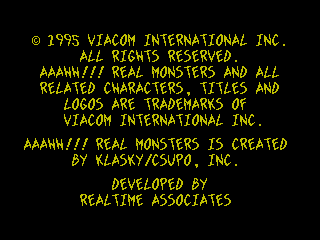 Klasky/Csupo, the Los Angeles-based animation studio made famous by Rugrats, had another Nickelodeon hit on its hands with Aaahh!!! Real Monsters. 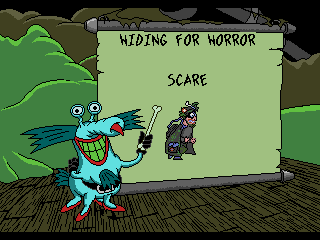 Debuting over the Halloween weekend of 1994 on SNICK, the cartoon follows the monstrous misadventures of Ickis, Krumm, and Oblina. The three monsters-in-training study at the Monster Academy underneath the city dump where their homework assignments involve scaring the pants off of humans. Gabor Csupo told the Pittsburgh Post-Gazette a little about his inspiration for the show’s crazy creeps. Aaahh!!! Real Monsters walks a fine line between Beetlejuice and Ren & Stimpy gross-out humor and family-friendly sweetness by throwing in some adolescent lessons with the gratuitous shots of body hair and toenail clippings. 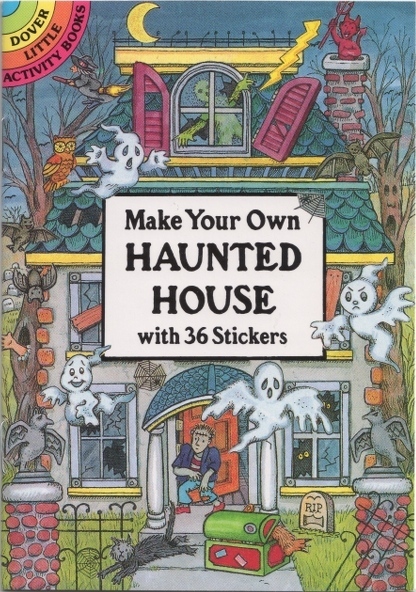 A huge marketing push followed the Nicktoon’s success, and the Monsters could be seen on everything from Mattel action figures to Happiness Express tattoos and toothbrushes. 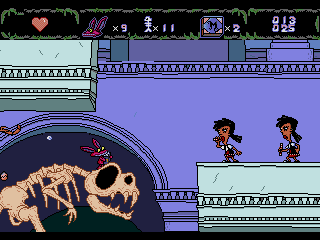 Video game adaptations were inevitable. Viacom New Media showed off Aaahh!!! 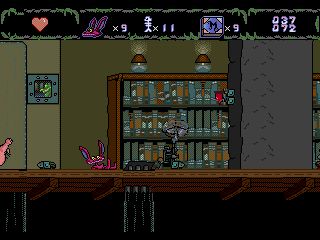 Real Monsters for the SEGA Genesis and the Super Nintendo at E3 in 1995, alongside other Nick software properties like Nickelodeon Director’s Lab and Are You Afraid of the Dark? 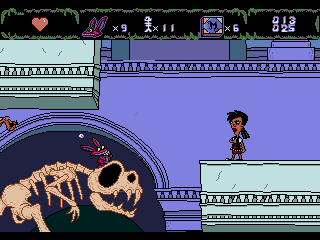 The Tale of Orpheo’s Curse for the PC. 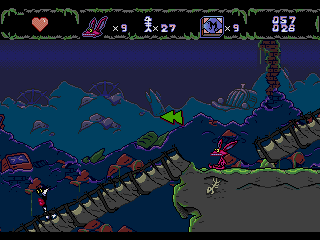 Both versions feature more or less the same gaming experience, but there are some differences in the levels. 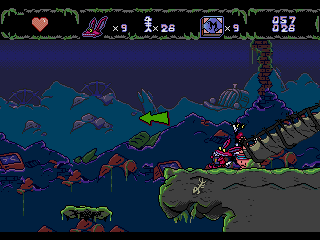 The Super Nintendo game, for example, has more varied bonus rounds, while the Genesis game overall offers a greater challenge. No matter the system, Aaahh!!! Real Monsters relies heavily on teamwork. 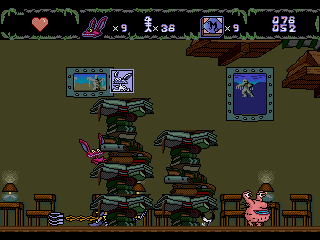 The Monsters can perform Triple Monster Moves that are necessary for navigating the city dump, a school, a post office, a museum, and the booby-trapped home of a geeky monster hunter. 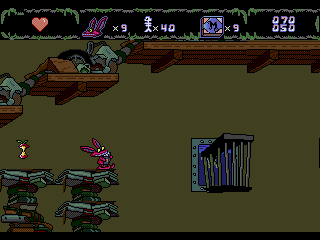 The player can choose which Monster to control and unleash different special scares to send people screaming, or fling garbage at them like rotten apple cores and high heels. Gromble is the dapper headmaster of the Monster Academy. 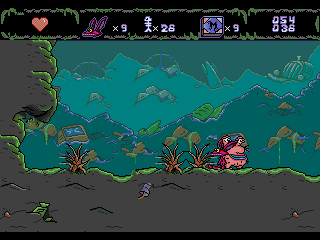 In the game, he doles out tasks to the Monsters such as finding a carton of crusty Chinese food, or scaring the daylights out of Simon the Monster Hunter. 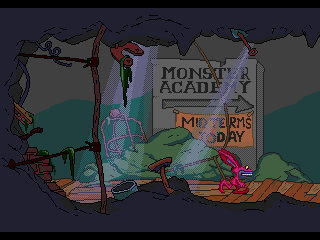 If the Monsters prove themselves to be scare-worthy enough, he’ll present them with their Monster Academy diplomas. Poor Ickis. 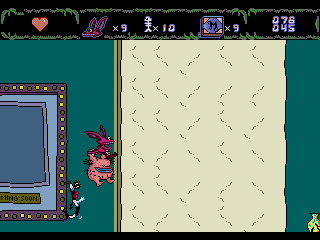 He’s insecure and clumsy and, worst of all, looks just like a pink bunny. 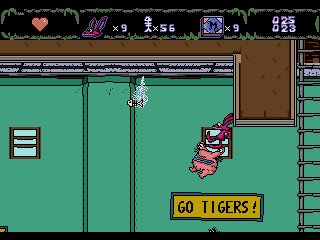 Pull on his floppy ears long enough, though, and this rabbit will roar and rear his fangs! 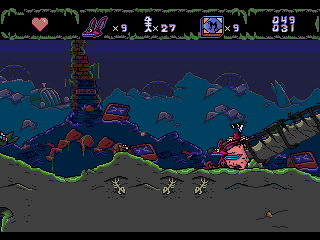 His Triple Monster Move is the Frightening Fling, which sends the Monsters flying over pits and other hazards. 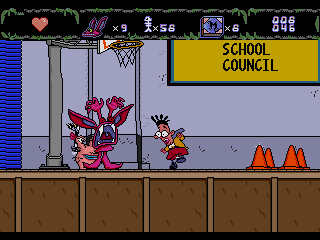 Oblina is a hardworking, studious student. She’s the definition of a teacher’s pet. 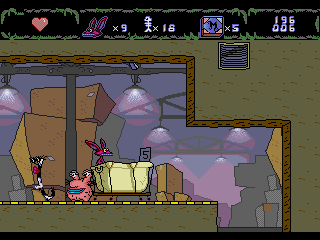 Unfortunately for this goody two-shoes, she has to room with the likes of Ickis and Krumm! 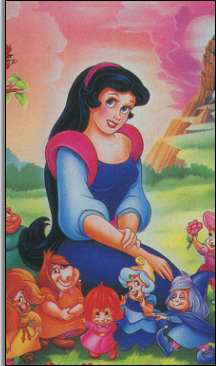 Her Triple Monster Move is the Tower of Terror that allows the Monsters to reach new heights. 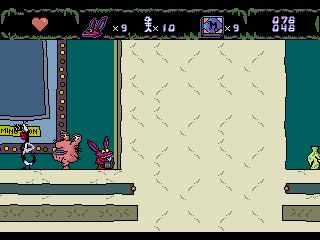 Krumm is as easy-going as monsters come. 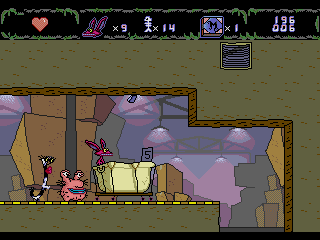 Just don’t get too comfortable around the big guy; he can clear a room at any moment with his pungent underarm stink! 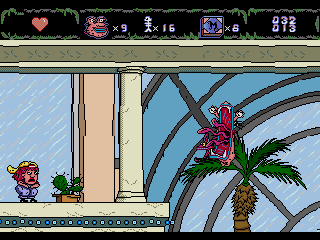 His Triple Monster Move is the Eerie Eye Ejector, which throws one of his loose eyeballs in any direction for the player to scope out the level’s dangers and trashy treasures. This prototype of the Genesis version comes from the collection of Jason Wilson, a former Tips & Tricks magazine senior editor. 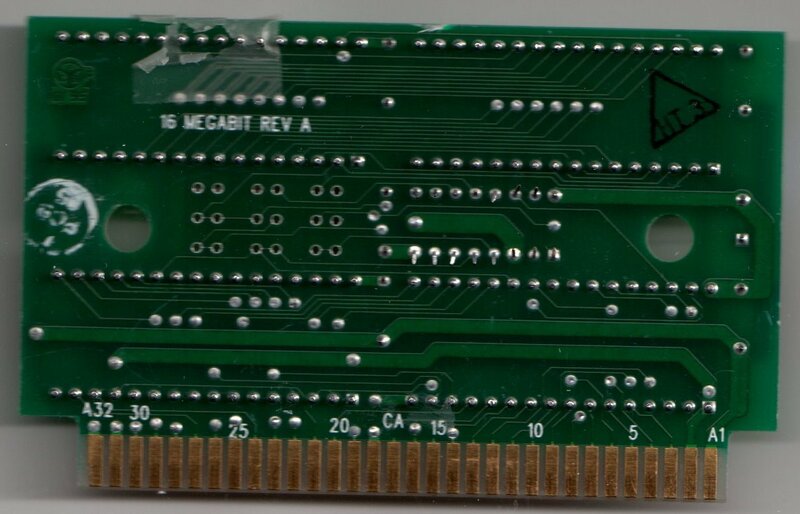 The spider web sticker was added to cover the exposed EPROM chip. 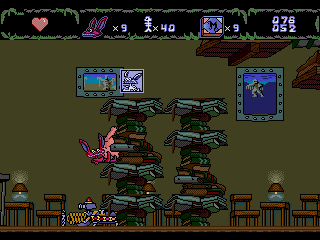 Wilson also once owned a prototype of the Super Nintendo game. It is not known if that prototype contains any differences. 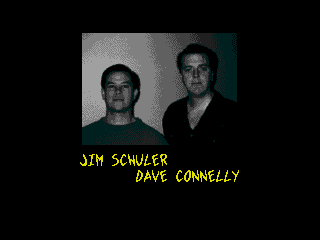 Dave Connelly was the assistant programmer on Aaah!!! 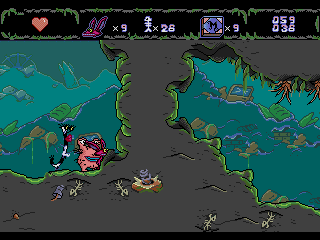 Real Monsters for the Genesis. I reached out to him for comment. 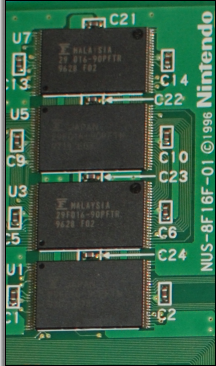 “I remember using those ROMs When we wanted to make sure the game would run or if we wanted to pass it off to a tester we would use one of those. Most of the time we used the dev kits, which connected directly to the consoles, especially since it took a while to burn the chips and I believe it took 25 minutes to erase one of them under a blacklight. “Jim Schuler was the lead programmer on the SEGA version with me as the assistant. We were the only two on that title. 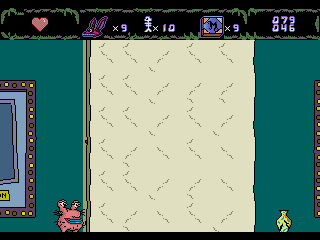 He put in a special screen that brought up a photo of us, which was near impossible to do, you had to clear a bonus level perfectly and then quickly pause the game and enter in a huge key combo. It was exposed by Game Genie. 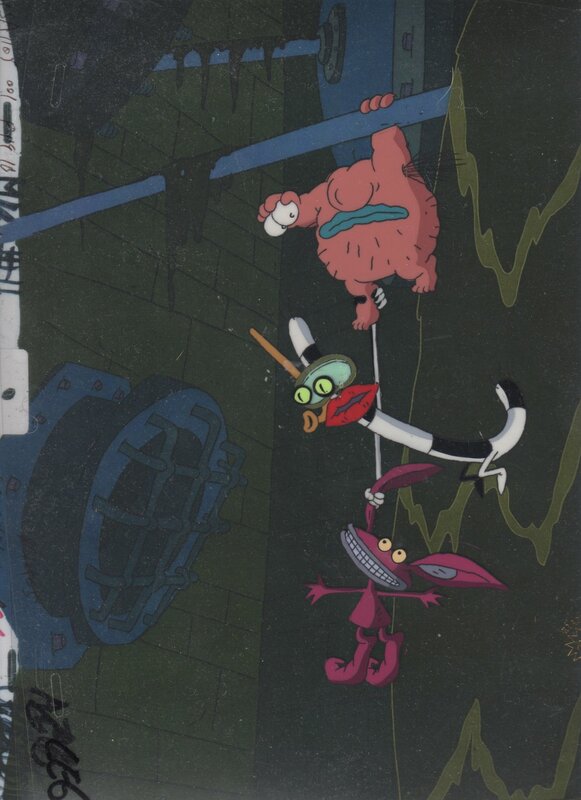 This original oversized pan 5 cel set-up of Ickis, Oblina, and Krumm is from the season one Aaah!!! 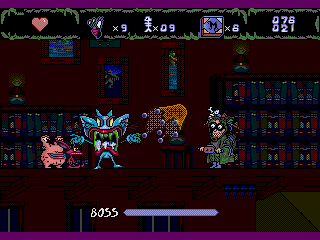 Real Monsters episode entitled “Monsters, Get Real!,” which first aired on October 29, 1994. Note: The released North American Aaah!!! 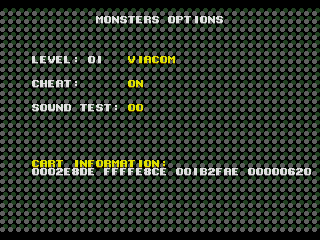 Real Monsters was used for the following comparisons. 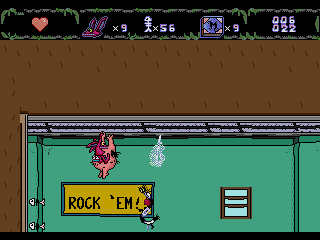 The prototype’s ROM header identifies the game as “Killer Tomatoes” and gives the date of June 1992. 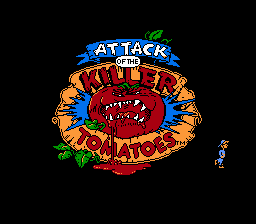 An Attack of the Killer Tomatoes game never appeared on any SEGA system, only on the Nintendo Entertainment System and the Game Boy in 1991 and 1992, respectively. 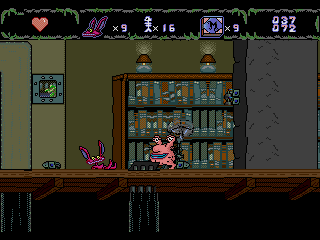 The name game continues with “Normy,” which most likely refers to Normy’s Beach Babe-O-Rama, a SEGA Genesis platformer developed in 1994 by Realtime Associates, the same team behind Aaah!!! Real Monsters. The Aaah!!! 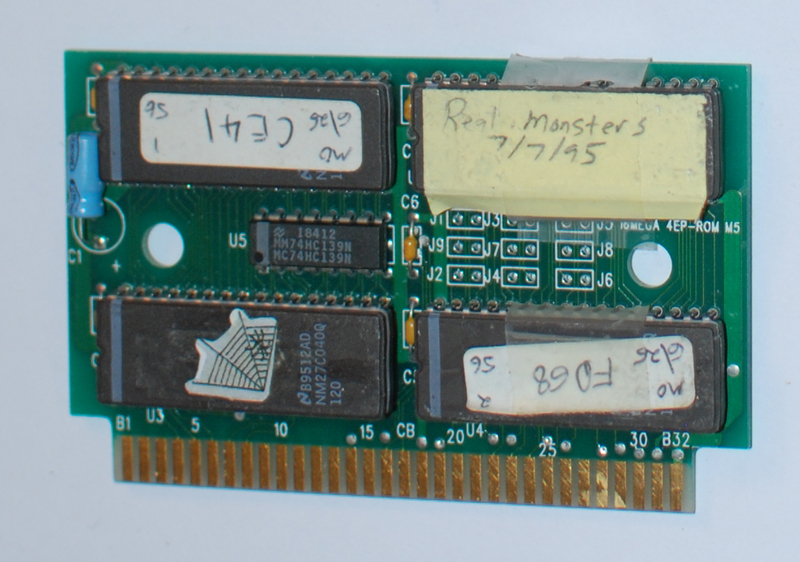 Real Monsters retail game’s header shows a completion date of September 13, 1995, while the prototype is dated July 7, 1995, according to the post-it note attached to its development board. The Monsters Options debug/cheat menu, which is triggered by pressing Start and then B, A, A, A, B, A, A, A, B, A, A, A, A, A, A, C, B, A, A, A, B, A, A, A, B, A, A, A, C, C, C, A, displays scrolling gray circles in the prototype rather than a moving gray grid pattern. The “cart information” is also changed. 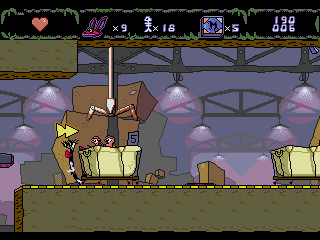 In the Gym, the water bursting from the ceiling above the trampolines can hurt the Monsters in the prototype. 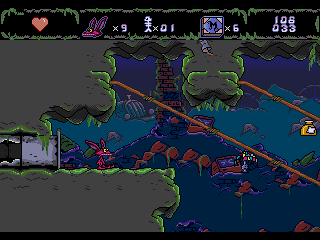 These water bursts do not appear in the retail game, nor in the Super Nintendo version. The water sound effect in the Gym’s showers, #18 in the sound test, is stretched out slightly more in the prototype. 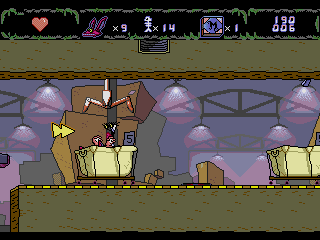 In Dump 3, after taking the middle sewage pipe route, the Monsters will see an extra yellow arrow in the prototype. 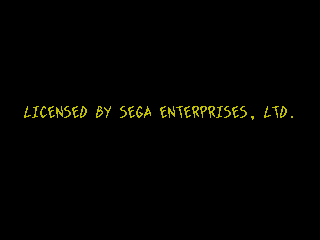 Since there’s only one way to proceed, the retail game and the Super Nintendo version dump this unnecessary hint. In Post Office 1, by the yellow arrow with the mail package picker, the ceiling is lower in the prototype. 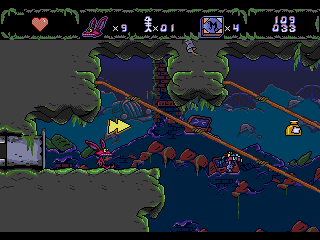 The same is true in the Super Nintendo game. 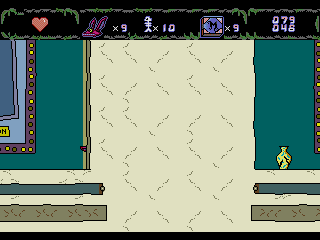 Also, the ceiling switch is by default flipped to the left instead of to the right in the prototype. 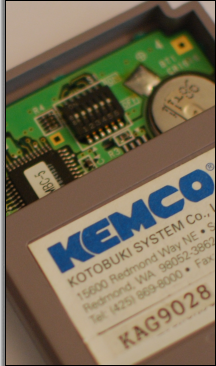 There is no switch at all in the Super Nintendo game. 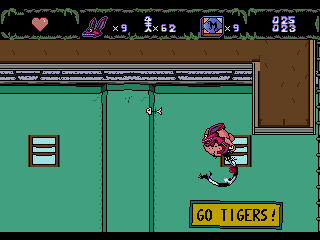 In Dino 1, there are two spitball-shooting schoolgirls here in the prototype. 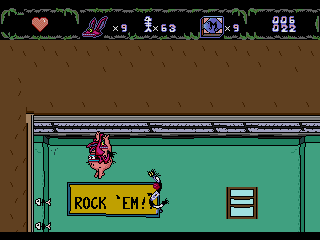 The retail game and the Super Nintendo version only have one. In Googleplex, the Monsters can walk halfway through this wall in the prototype. Another way to enter the wall in the prototype is by jumping. 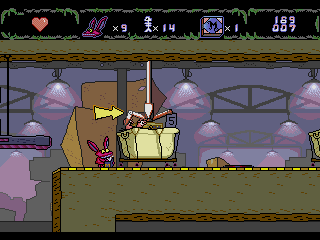 In Dump 6, past the green arrow, the prototype contains a rotating platform in place of a garbage chute. That’s because there’s murky water not seen in the retail game underneath the prototype’s floating platform. 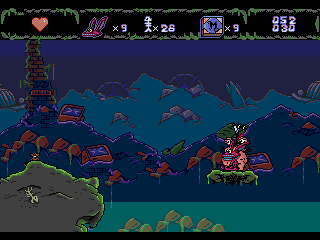 Interestingly, the Super Nintendo version also has a floating platform in this section, but without the water. 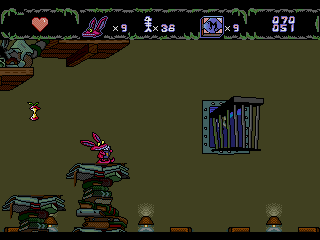 In Hunter 1, the books by the cage traps are stacked higher in the prototype. Also in Hunter 1, the stack of books to the right of Ickis’s photo is taller in the prototype. 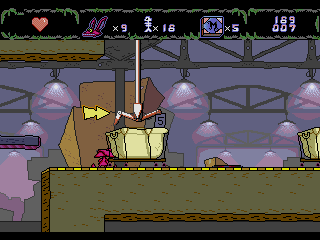 In Hunter 2, the prototype has a red switch hanging mid-air that does not appear in the retail game, nor in the Super Nintendo version. It doesn’t seem to activate anything when pushed. 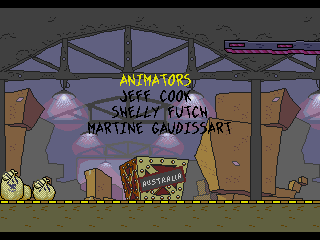 Under “Animators” during the credits, the retail game adds an extra e in “Shelley Futch.” The Super Nintendo version spells the name the same way as the prototype, so it looks like this is actually a flub on the part of the Genesis retail game and its instruction manual. The “Additional Art” credit goes to “Jean Ferguson,” not “Jean Bergeson,” as in the retail game and the Super Nintendo version. As with the legal screen, the slash in “Klasky/Csupo” is missing in the “Special Thanks” credit.